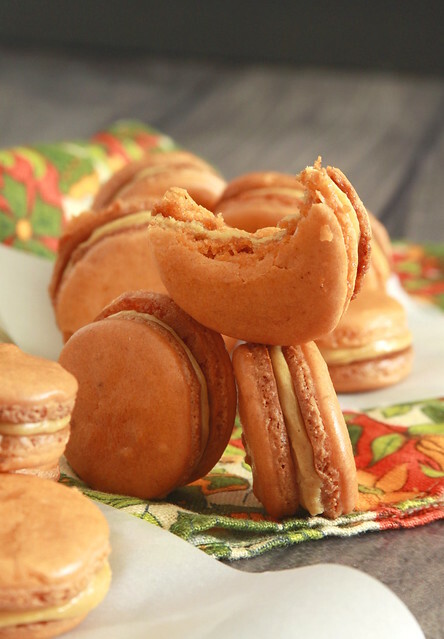 These Ginger Macarons with Pumpkin Cookie Butter Filling welcome fall with open arms! 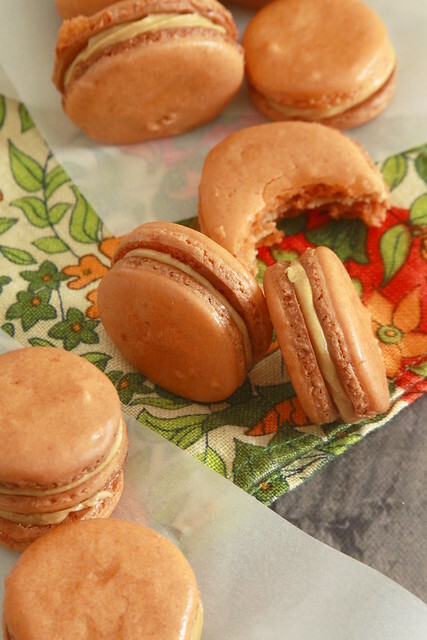 A classic macaron shell gets a lively flavor from ground ginger. The filling is a perfect snapshot of autumn with browned and warm flavors. I hope everyone spent their first autumn weekend doing something fall! Well it’s finally autumn. Not that I was counting down the days. To me, the looming darkness of winter overshadows the beauty of autumn. All of a sudden the weather did a 180-spin, what’s with this 38 degree sleeping weather? That’s not cool or chilly, that’s down right cold. Well I’ll try to push my winter dislike to the side and focus on the autumn, at least autumn flavors. Pumpkin is always paired with cinnamon. Pumpkin and cinnamon is undeniably a solid flavor pairing, but it’s certainly overdone. Yet I wanted to highlight a different pumpkin combination. 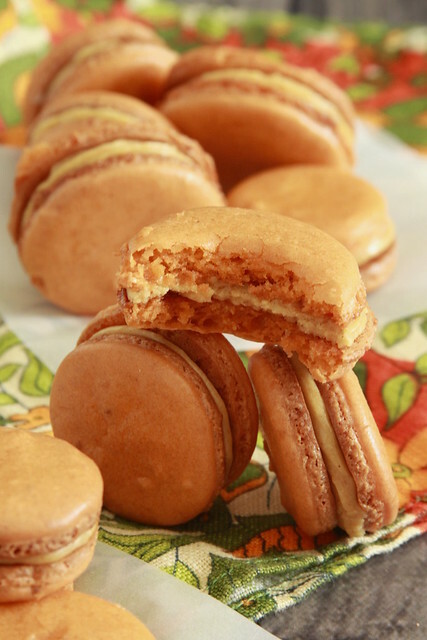 Ground ginger is a crucial spice in pumpkin pie spice and I wanted to take this single spice and highlight it in a French macaron. As a spice, ground ginger has a lighter, less earthy flavor than other pumpkin spices like nutmeg, cloves, and cinnamon. I used my staple go-to macaron recipe from the book Les Petits Macarons. 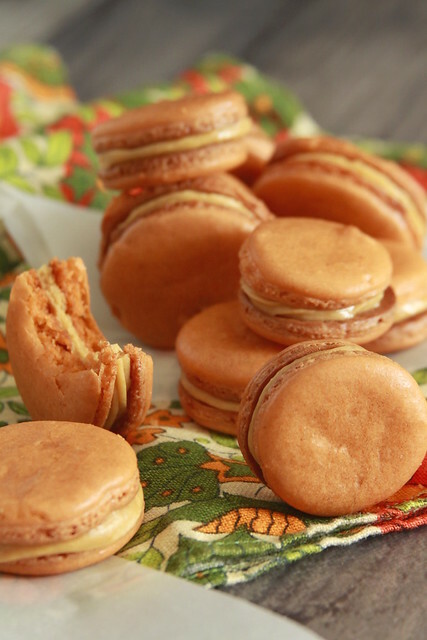 The addition of ground ginger does not compromise the structure of the macaron shell’s texture. 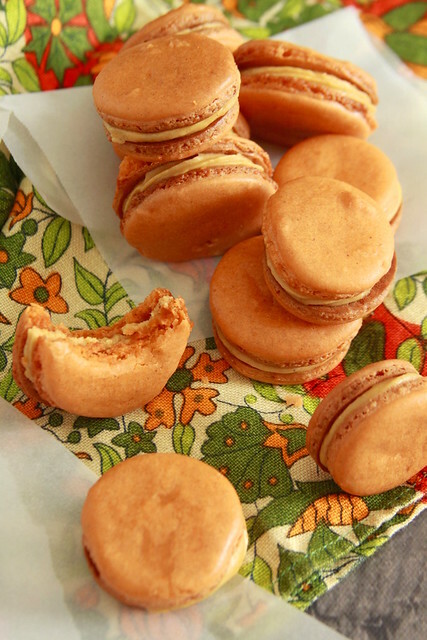 The filling for these Ginger Macarons is a pumpkin cookie butter buttercream. This pumpkin cookie butter filling is the poster child for the autumn. The cinnamon in the cookie butter is the perfect compliment to the pumpkin puree. 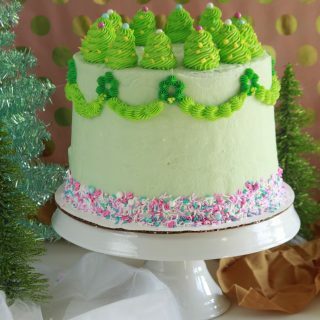 This is only a buttercream by necessity. The powdered sugar provides the structure to the filling. 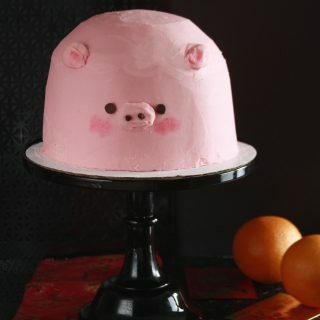 No one wants an oozy filling. 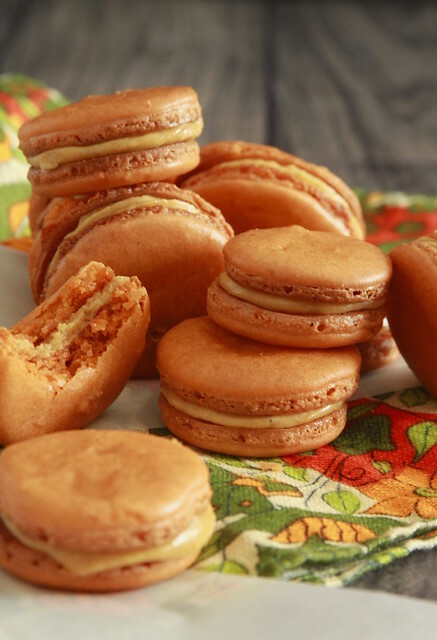 These Ginger Macarons with Pumpkin Cookie Butter Filling are a new take on classic autumn flavors! Line baking sheets with parchment paper set aside. 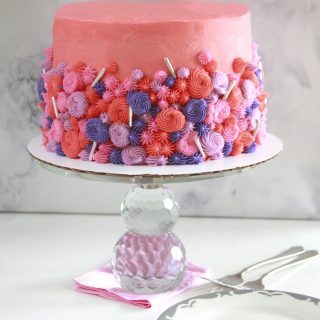 Fit a piping bag with a #3 or #5 tip place it in a tall glass, set aside. 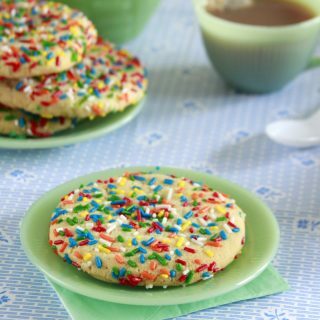 In a food processor combine the almond flour, powdered sugar, and salt and pulse for 4 to 8 seconds, 3 times. To ensure consistent texture, scrape down the sides and bottom of the food processor's bowl. Sift these dry ingredients with the ginger TWICE into a large bowl. Set aside. Combine the granulated sugar and water in a small sauce pan over a medium-high heat. Clip on a candy thermometer to monitor the temperature. Stir the mixture gently around to dissolve the sugar. While the sugar syrup is heating up, start whipping the egg whites and cream of tartar in a stand mixer fitted with a whisk attachment. Whip on a medium speed until medium peaks form, about 2 to 3 minutes. If the syrup isn't ready, lower the mixer's speed to keep the egg whites aerated. When the candy thermometer reads 230 degrees F, add your food coloring. Cook until the thermometer reads 235 degrees F. Remove from heat. Turn the mixer speed back to medium. Place the saucepan on the very edge of the mixing bowl's side. You do not want the hot syrup to come in contact with the actual moving whisk (you'll have hot syrup fly everywhere). Slowly and steadily stream the hot syrup mixture into the egg whites. Raise the speed to medium-high and whip until stiff peaks form and the meringue is glossy and lukewarm in temperature, about 4 to 5 minutes. In the bowl of the dry ingredients, form a well in the center of the bowl. Spoon ⅓rd of the meringue into the center and briskly stir the meringue into the dry ingredients with a rubber spatula moving in a circular motion. Once the dry ingredients are mostly wet, add the rest of the meringue, folding it with a stroking motion as if you were folding egg whites into a cake batter. The consistency of the batter should be the consistency of lava. Put into the already set up piping bag. Using a template or free-form, pipe the shells evenly onto the parchment lined baking sheets. Once piped lift and 'tap' or 'drop' the baking sheets onto the counter, leasing the air bubbles. Do this 3 to 4 sets each 3 to 4 times, rotating the pan each time. Let the macaron batter set so it is not sticky to the touch, about 10 to 15 minutes. Bake macarons to dry the shells for 15 minutes, rotating halfway. With the macarons in the oven, raise the temperature to 350 and bake the shells until feet develop and they're able to lift off of the parchment, about 9 to 10 minutes. 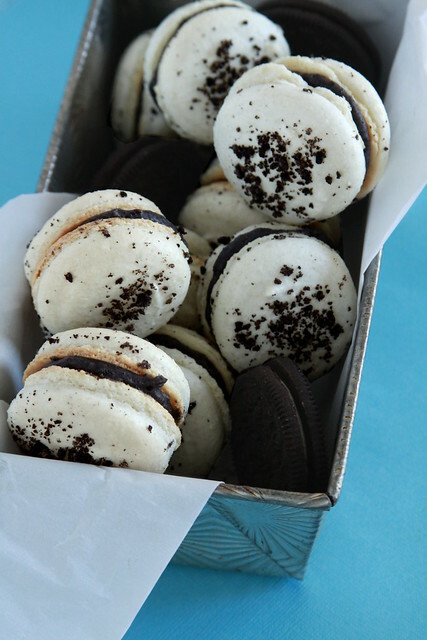 Remove from the oven, let it rest for 5 minutes before transferring the macarons to a wire rack to cool completely. In the bowl of a stand mixer fitted with a paddle attachment, beat the butter until smooth and lump free. Add the cookie butter, beating until combined. Scrape the sides and bottom of the bowl down. Add in the pumpkin puree, vanilla, salt, and powdered sugar. Beat on a medium speed until smooth and combined. Use a pastry bag to pipe the filling onto a shell. Top with the other shell. 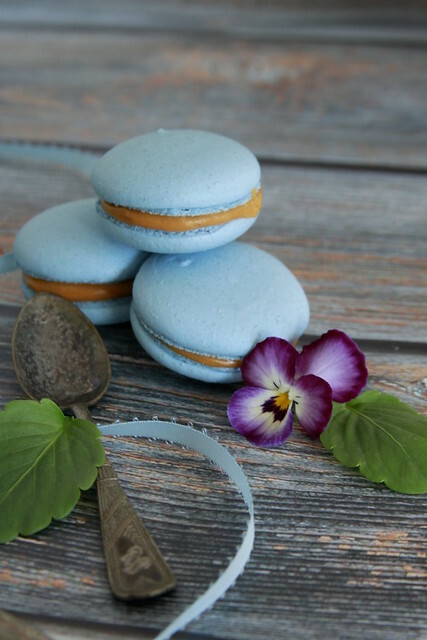 For the best results let the macarons rest in the fridge (shells and filling combined) so the flavors from the shell and filling and meld.